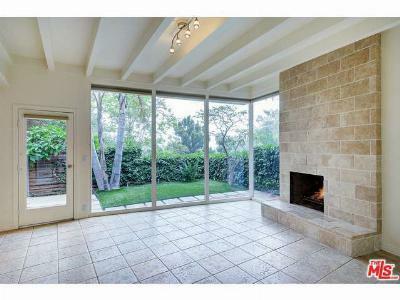 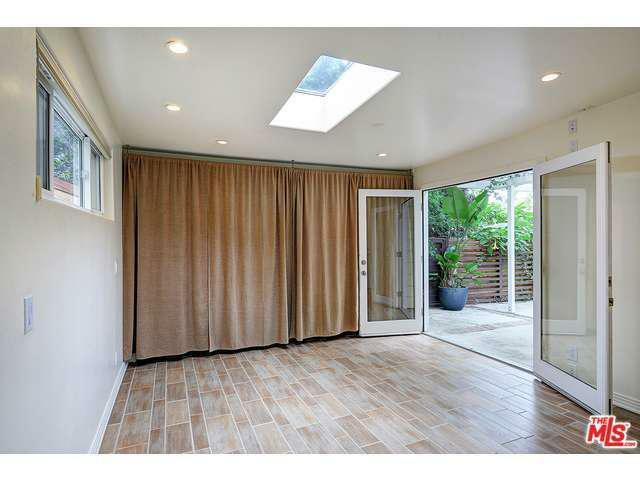 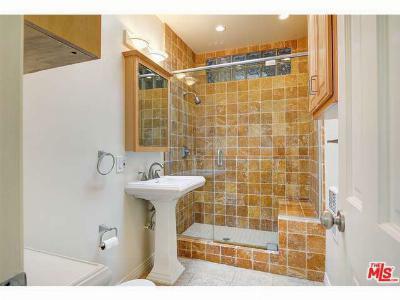 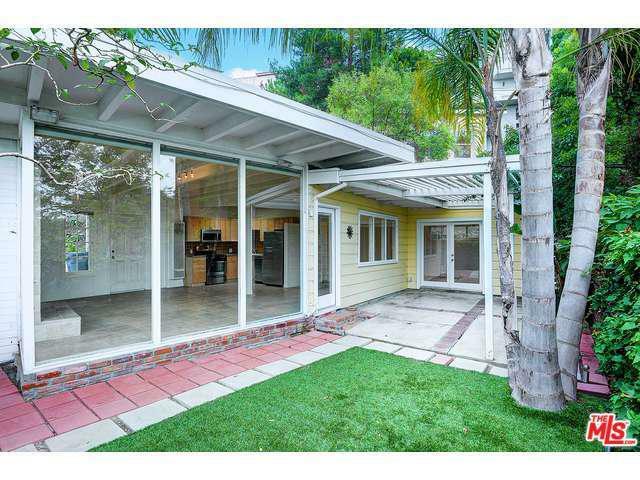 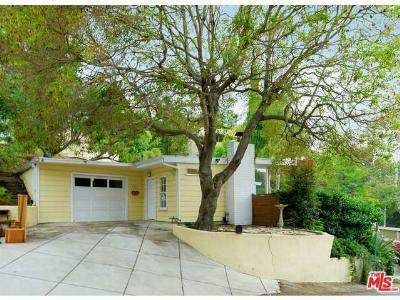 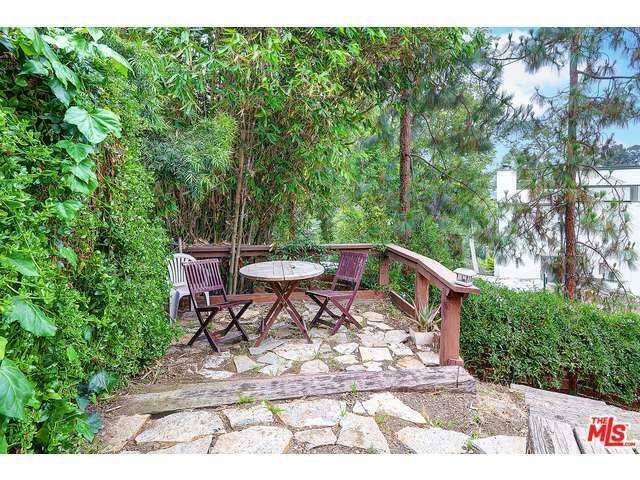 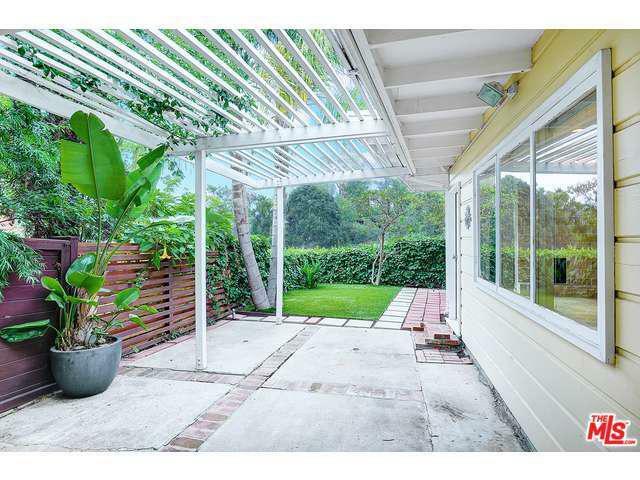 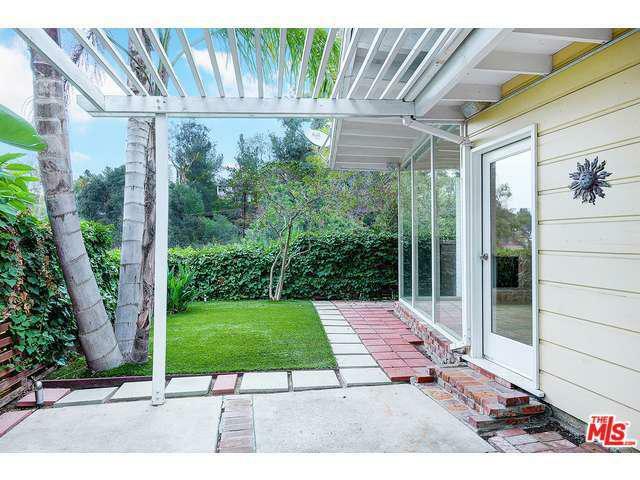 This charming Hollywood Hills retreat offers a verdant canyon view and a private flat yard area. 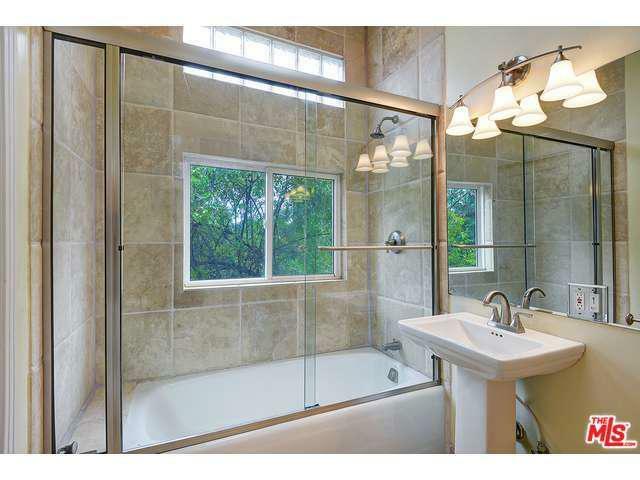 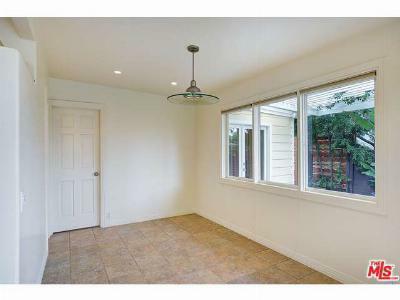 The house has been beautifully remodeled with walls of glass facing the yard and view. 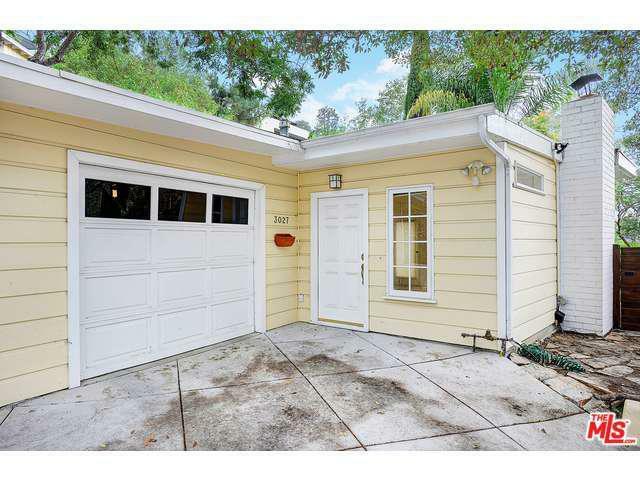 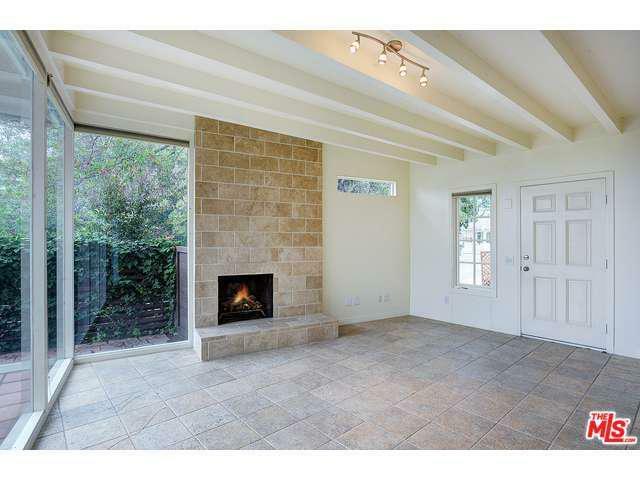 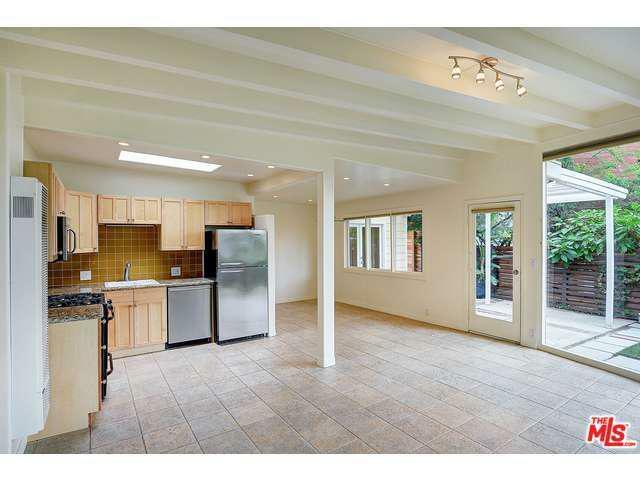 The open floor plan features a fireplace, sky lights and ceramic tile floors. 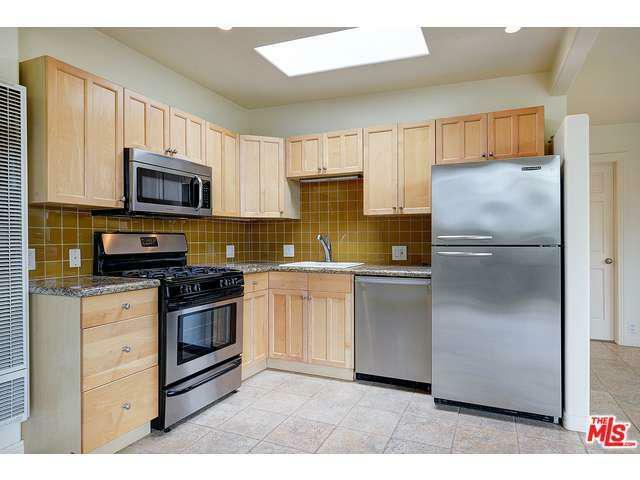 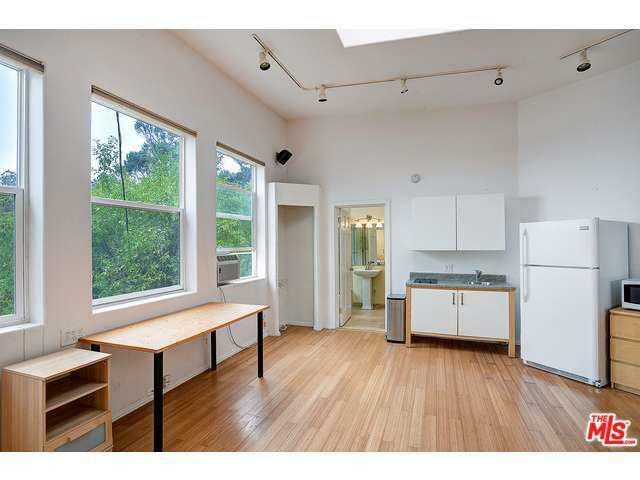 There is a newer kitchen with granite counter tops and stainless steel appliances. 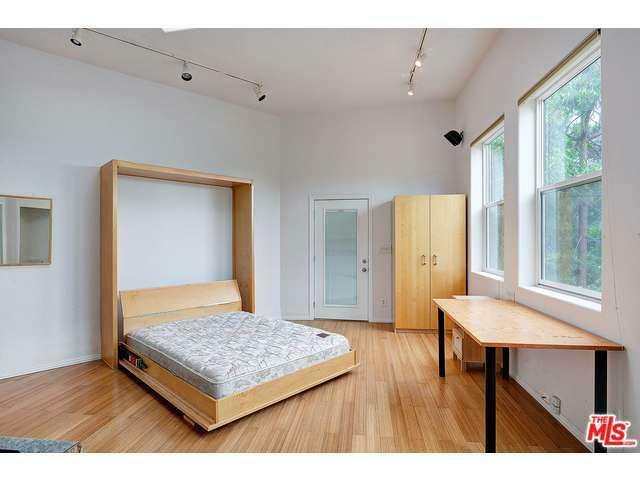 The large bedroom has 'wood' ceramic floors and French doors to the yard. 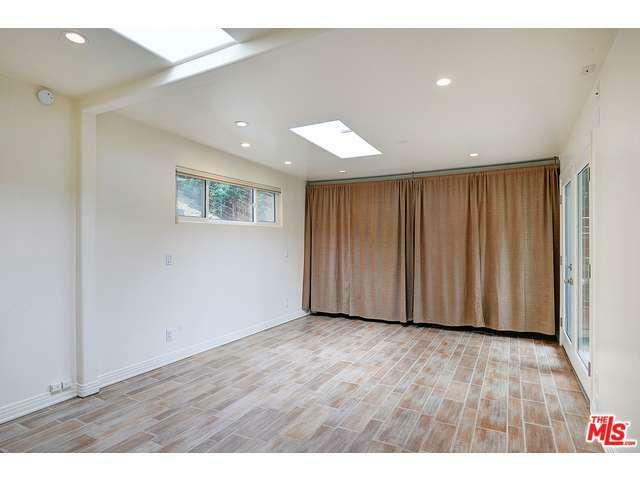 There is a one car garage as well as a laundry area. 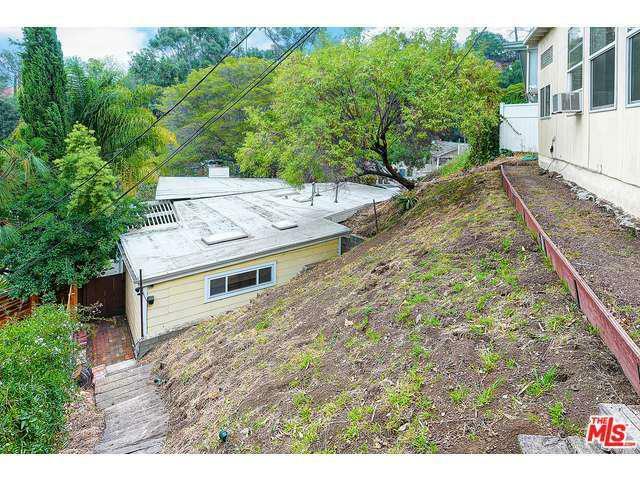 Ideally located close to studios, Downtown, and the Westside, this is a great starter home, condo alternative or development opportunity with a 5,000 SF Lot.